Thanks to its special, extremely compact build, the innovative Master Line Source 3 dipole emitter enables you to have a unique music listening experience in your own living room. Like its sister models, the elegant stand box is designed as a line source with dipole emitter characteristics. Four ribbon tweeters guarantee a supremely natural, detailed, spatial sound. 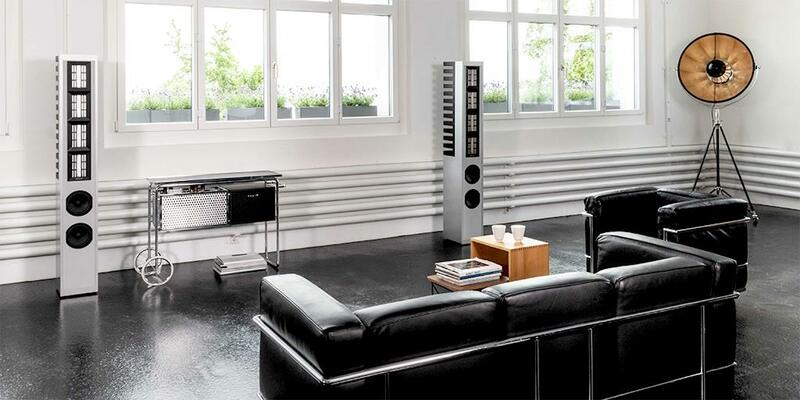 This is enhanced by the two 180mm woofers and two same-sized passive radiators with a powerful bass foundation. For the baffle with a width of only 23 centimetres, a smaller version of the ribbon for mid-range/high-frequency reproduction has been specially crafted, four units of which are installed above each another in the MLS 3. 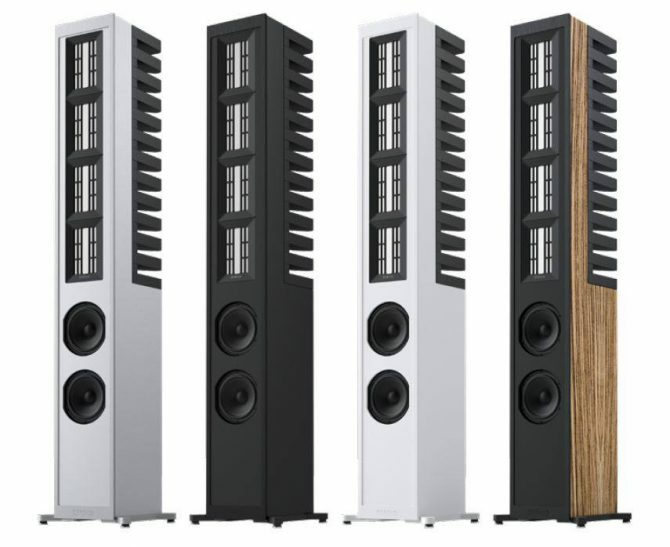 They work based on the dipole principle and at the same time directly emit the sound forwards and backwards in the form of a vertical cylindrical sound wave, whereby a slatted acoustic lens ensures product of a completely diffuse sound field behind the MLS 3. In order to create a deep and powerful bass reproduction with the comparatively compact MLS 3 cabinet, the requirements concerning the electrodynamic properties of the woofers have also been set purposefully high. Two very newly developed 180mm UHQD drivers are used, ensuring dynamic and more voluminous woofer reproduction even at small volumes and with optimal impulse behaviour and substantial level stability. 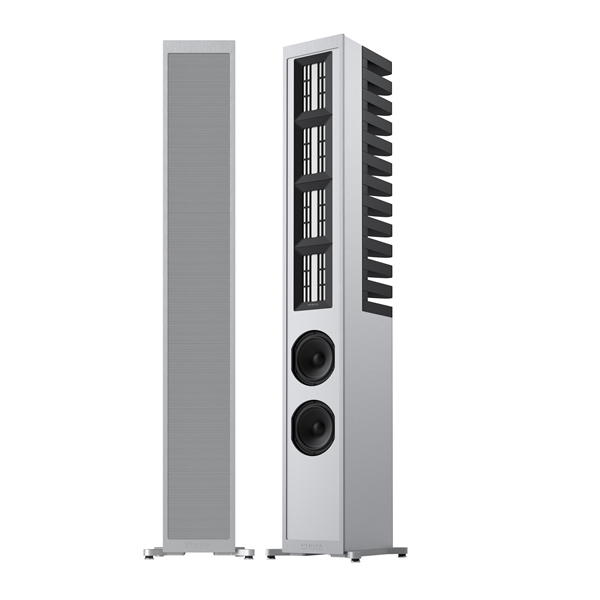 Designs Baffle in silver anodised aluminium, cabinet painted silver, speaker cover silver. Baffle in black anodised aluminium, cabinet painted high-gloss black, speaker cover black. Baffle in white, cabinet painted high-gloss white, speaker cover white or black. 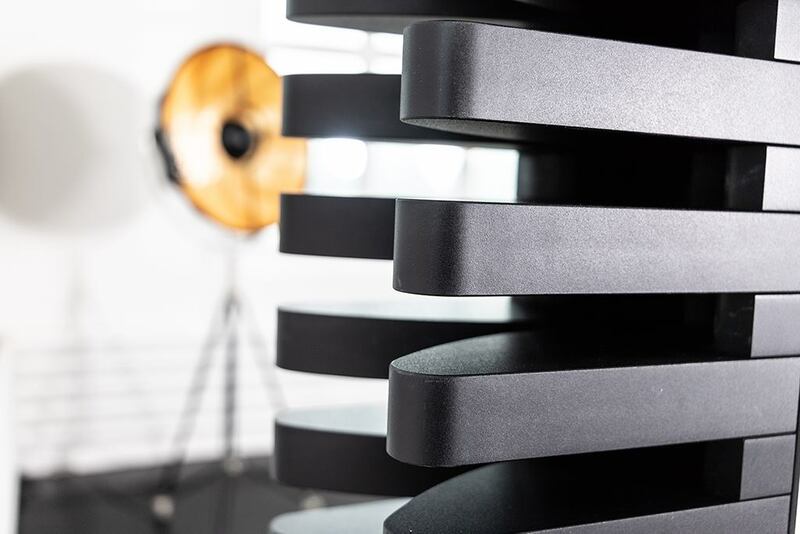 Baffle in black anodised aluminium, cabinet in Zebrano matt veneer speaker cover black.